Lincoln Castle Academy is different to many other schools. We feel that students are ready to begin GCSE studies earlier than Year 10, providing them with longer to achieve excellent qualifications. As a result of this, we ask students in Year 8 to make their GCSE choices which actually begin in Year 9. We know that our current year 8 students are ready for the challenge! Our three year Key Stage 4 curriculum is divided into 6 modules of learning. 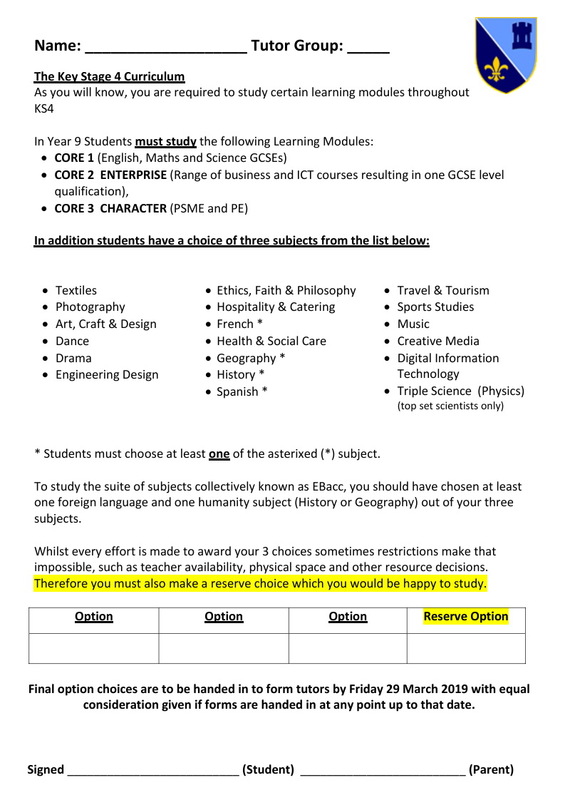 All students must study the following learning modules in Year 9: Core 1, Core 2 - Enterprise and Core 3 - Character. 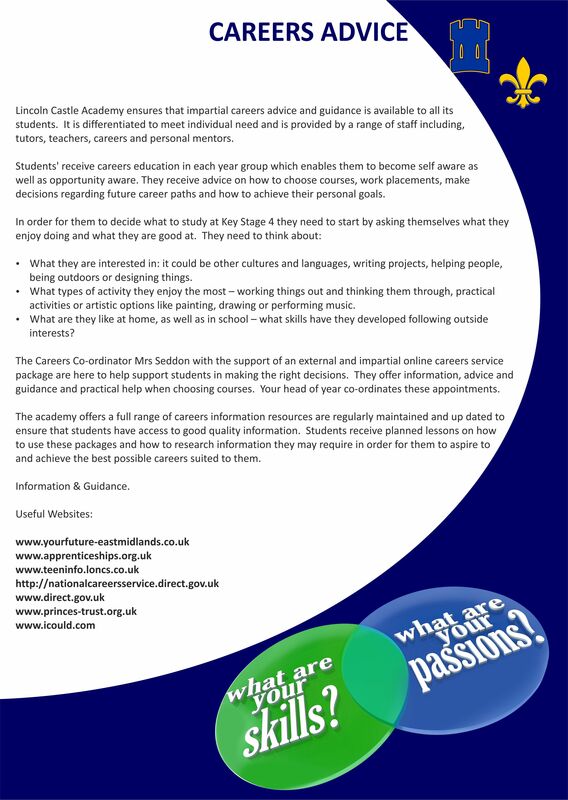 Students then have an element of choice alongside professional judgement across three further options. cannot accommodate them in a particular subject. Please think carefully about this reserve choice as it must be one they are happy to study. French, Spanish, History or Geography. 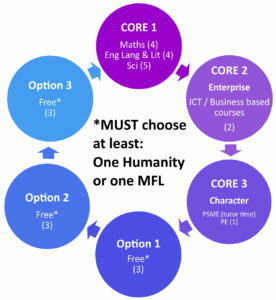 Therefore, whilst students do get three ‘free’ choices, in reality one is a choice between four subjects. The learning modules that we offer include some element of choice and ensures that all students follow a broad and balanced curriculum with a strong academic core; we are very proud of our curriculum. 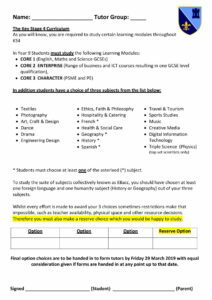 Please contact Lincoln Castle Academy for a copy of the subject options.